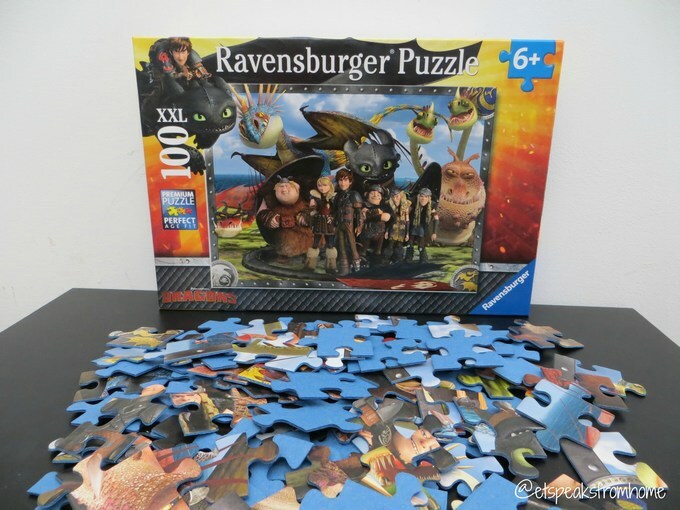 This is our second time testing out Ravensburger puzzles. We had the same type of Ravensburger puzzles before, with the 100 XXL of The Muppets. Click to read more about it. Again I am very impressed with the range of puzzles they have. Do check them out on Twitter @RavensburgerPC as they regularly host giveaways! The group picture is very attractive and comes with four different knight badges. The surface comes in a matt finish. The pieces are thick, strong and easy to join up. The only problem is there are a lot of blue bits coming off the backing. Once the bits are brushed off, it is fine afterwards. The puzzle can be done over and over again and kept safely in its box when not required. We had to disassemble it as we don’t have space to keep it out. It would be great to frame up. Ms C and I love doing jigsaw puzzles at home as they are a great work out for the brain and can be beneficial for improving problem solving, motor skills and eye co-ordination for children and adults. 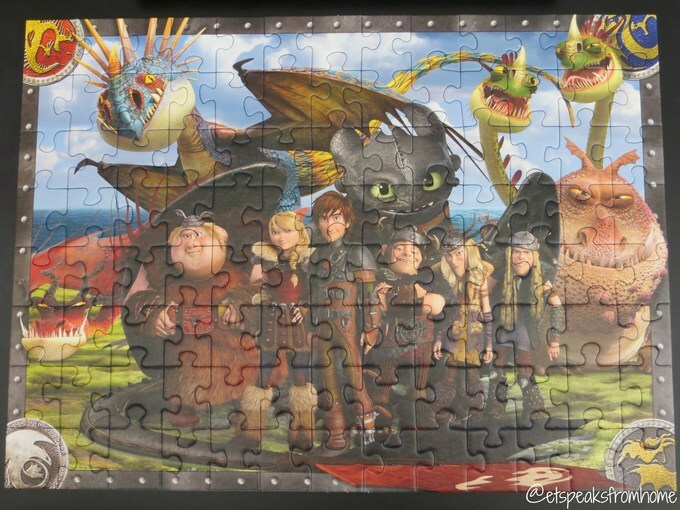 If you or your children are a big fans of How To Train Your Dragon 2, you might like to consider this. Both of our children can’t wait to catch the new movie in July. Not long to go now!